We’ve rounded up the best ways to celebrate Valentine’s Day in Springfield. Have a DIY day with your gals, or celebrate with your sweetie at a local restaurant. 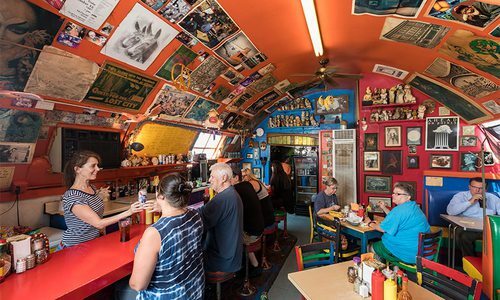 Jan 30 2019 at 8 a.m.
Photo courtesy ShutterstockCelebrate Galentine's and Valentine's Day at all of Springfield's best spots. Cupid has arrived in Springfield and it’s time to start making your Valentine’s Day plans. 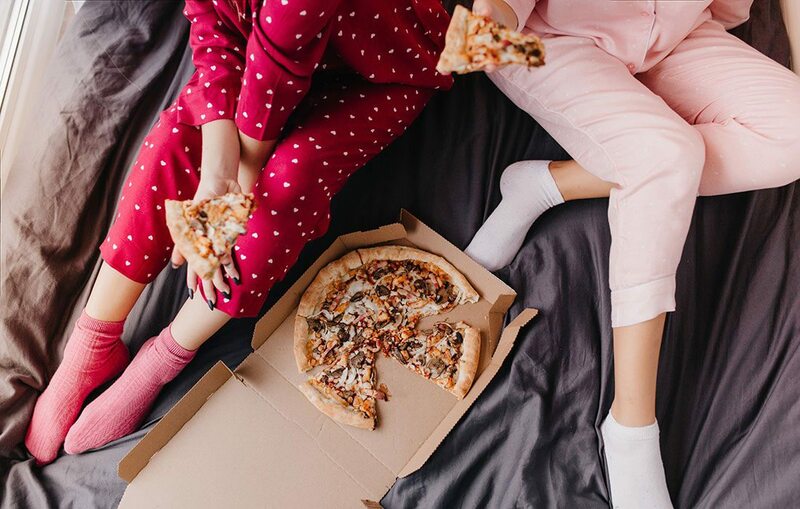 Or even better, Galentine’s Day plans. 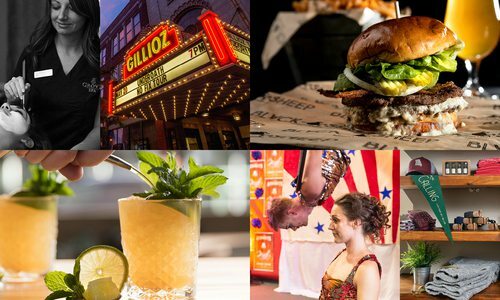 Whether you’re wanting to celebrate with dinners and roses or enjoy the holiday with your gals, the Queen City has a ton to offer. We’ve rounded up the best ways to celebrate and even included gift ideas to help you pick the perfect present. Enjoy a special Galentine’s Day workshop at The Vineyard Market on February 9. Gather up your friends to make colorful flower arrangements while enjoying champagne cocktails and sweets. There are a ton of options to choose from during this Galentine’s DIY class. You can make a jewelry organization board or a wood photo frame during this two-and-a-half hour class on February 13. Explore your artsy side while enjoying a glass of wine on February 13. All you have to bring is your favorite beverage—all other materials are provided for this canvas painting class. There are a couple of different ways to partake in Cellar + Plate’s “Cellarbration.” Choose between pedicures from Dharma Day Spa or a cork craft activity to enjoy with your favorite ladies. Cocktails and cheese boards included! Photo courtesy ShutterstockGet crafty during Galentine's Day with one of the many events in Springfield. Satisfy your sweet tooth and get creative at the same time. 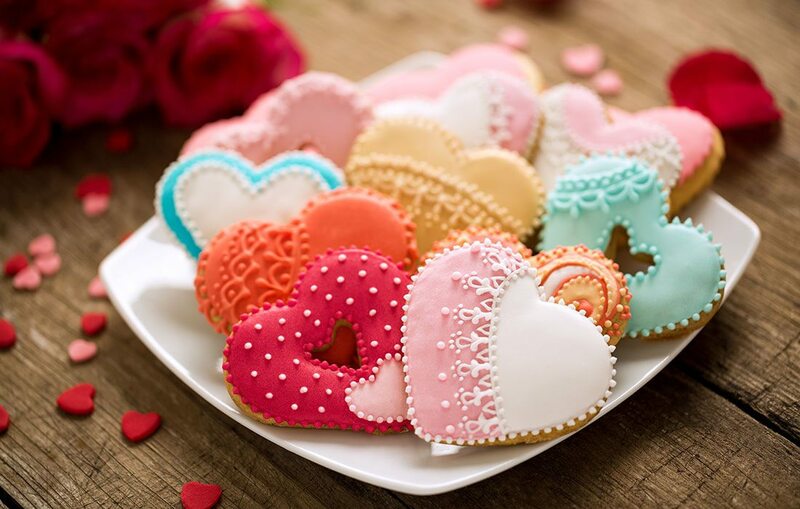 Make delicious, hand-iced sugar cookies on February 9–10 at B + B Boulangerie & Bakery. Take them home the next day when the icing is dry and save them for Valentine’s Day... if you can hold off on eating them! Be part of the show during Springfield Little Theatre’s The Awesome 80s Prom as it takes over The Old Glass Place. All of the familiar stereotypes from your favorite ‘80s movies make appearances as they compete for the title of prom king and prom queen. The audience votes and makes the final crowning decision. This ‘90s themed drag show takes over Martha’s Vineyard on February 14, and the money raised goes to Me Too Springfield and benefits local sexual assault survivors. After the show, the floor opens up so you can dance the night away. Enjoy food, mimosa's, bloodies, wine and a must-see drag show at Cellar + Plate on February 10! Make your reservation by calling 417-894-2003 or messaging the Facebook page. 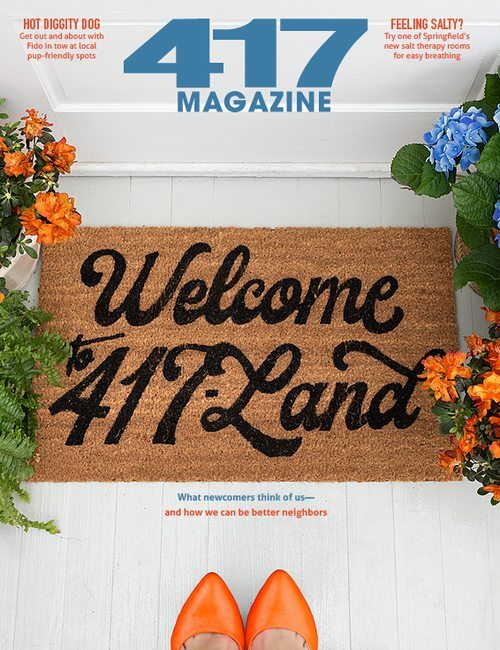 Photo courtesy A Beautiful MessFollow a few easy steps and make your own party decor. If you want to avoid the crowd, then hosting your own party is the way to go. Invite your friends and pick out your favorite movie to relax or host an elaborate get together with snacks, music and your favorite cocktails. 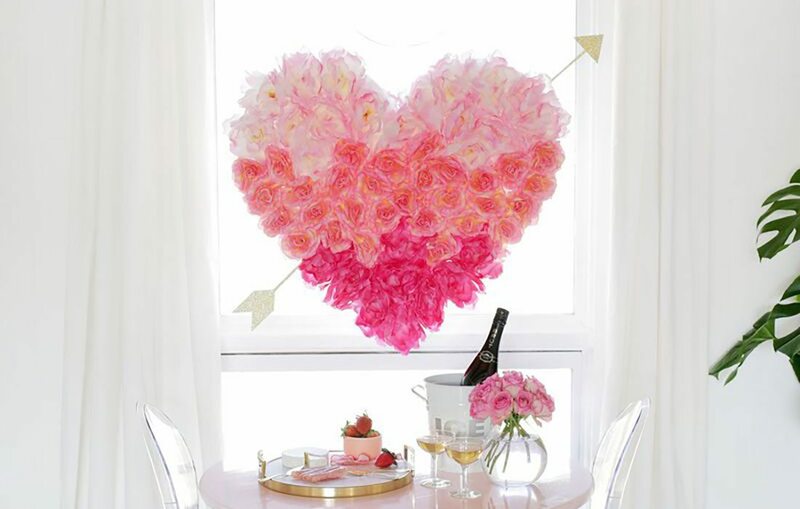 You can even add a special touch by making your own fondue and decor like this hanging flower heart. If you want to skip dinner and roses, how about a non-traditional dinner? All of your friends can bring their favorite dishes and you can celebrate potluck style. If you want to skip dinner altogether, make it a sweets-only potluck and wait for that sugar high to kick in. Take your date to a classic ‘80s arcade that has a ton of old-school games to keep you entertained. Challenge them to a game of ping pong or Pac-Man while eating arcade snacks like pizza and chips. Chances are you spent a good amount of time at the skating rink growing up. It was the place to be, and now it’s your chance to show off all of the skills you learned back in the day while getting a little exercise. If you want the date to be a bit more romantic, attend the adults-only skate on the second Saturday of every month. If you're a more advanced skater, then bundle up and hit the ice with your special someone at Jordan Valley Ice Park. This winter time sport always makes for a fun and romantic date. Head over to Druff’s for its Cheesy Candlelight Dinner! $45 covers an appetizer, sandwiches, soup and dessert for you and your boo. Reserve a table for two and enjoy a four-course meal at The Order inside Hotel Vandivort. Feelin’ extra? You can add on chocolate covered strawberries and a bottle of wine or champagne. Stay tuned for the official menu. Stop by either Aviary location between 5 and 8 p.m. on February 14 for a special Valentine’s menu. Your purchase covers an appetizer, two entrees, a dessert and the option to add on wine. Reserve your spot now by calling 417- 866-6378. Head to this restaurant in Ozark to enjoy a four course dinner that includes an appetizer, salad, fresh bread, two entrees and a dessert to share. Entree choices are prime rib, chicken Marsala or salmon and the choice to add on wine. There are only three seating times at 5 p.m., 6:30 p.m., and 8 p.m., so call 417-485-3330 to make your reservations! V-Day and Lost Signal’s second anniversary just so happen to fall on the same day. To celebrate, put on your stretchy pants for a beer pairing dinner that features four courses. Each dish represents a country and is paired with a beer from the same country. Enjoy a romantic dinner and dance lessons at this historic castle that was built in 1913. It’s rumored to inhabit ghosts and spirits, so make sure you and your date are open to a spooky celebration. 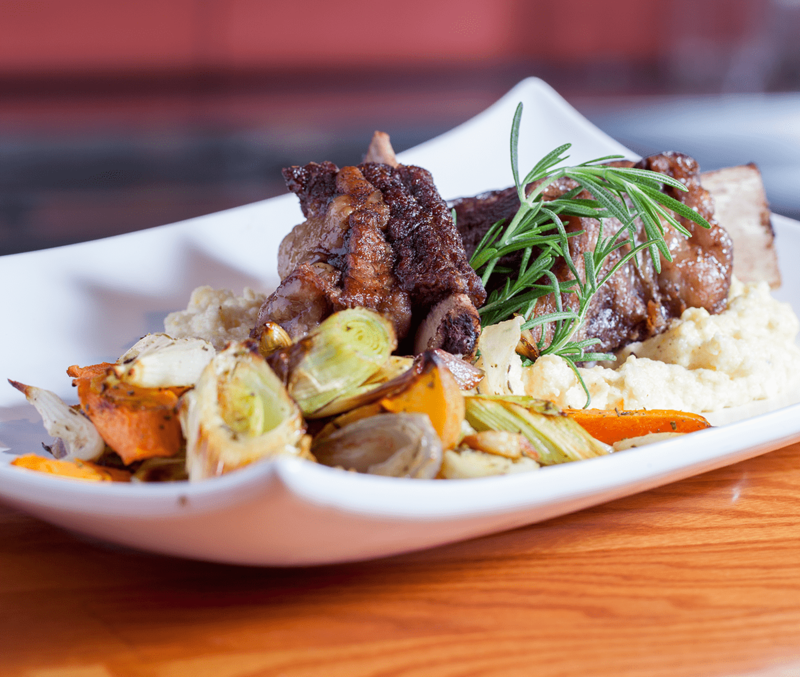 Show off your cooking skills this V-Day with a braised short ribs meal. Check out the recipe below. Wow your significant other with something made from scratch. We have a ton of recipes that can help you out like braised short ribs over creamy polenta and this Pot de Crème for dessert. Make a beautiful fused glass project on February 14 or February 16 that will be a wonderful reminder of how fun it was to create together. Walk through the serene garden while music plays softly in the background. A $40 picnic basket includes admission for two, a plush throw blanket, sparkling juice and Valentine’s cake. Preorder them before Wednesday, February 13 at 10 a.m. by calling 417-891-1515 extension 2 or visiting friendsofthegarden.org. Head out early on February 16 to take a romantic and scenic hike at Withrow Springs State Park, then end it with a local wine tasting at Sassafras Winery. Buying a gift for your significant other can be a bit tricky, so we’re here to help. We’ve listed some foolproof gifts you can purchase or make yourself. • 52 Reasons Why I Love You. If you don’t like the book idea, you can fill a jar with reasons. • Homemade desserts like these bars or these cookies. • V-day breakfast or brunch. These red velvet pancakes are a perfect morning surprise. • You can’t go wrong with chocolate covered strawberries or donuts, so how about both? Hurts Donut has you covered and even offers delivery. The best part about the donut delivery is that a live cupid (a grown man in a diaper) delivers them straight to your location of choice. Looking For More Great Dates? 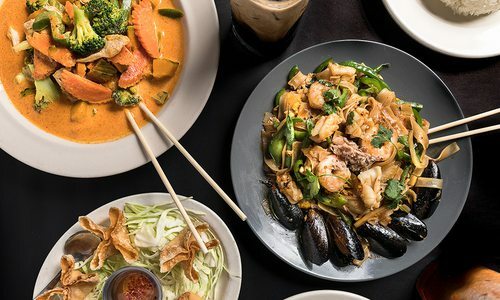 We've rounded up TONS of date night ideas for foodies, romantics, sports fanatics, creatives and adventurous couples in Springfield, Branson and beyond.